Happy Canada Day! 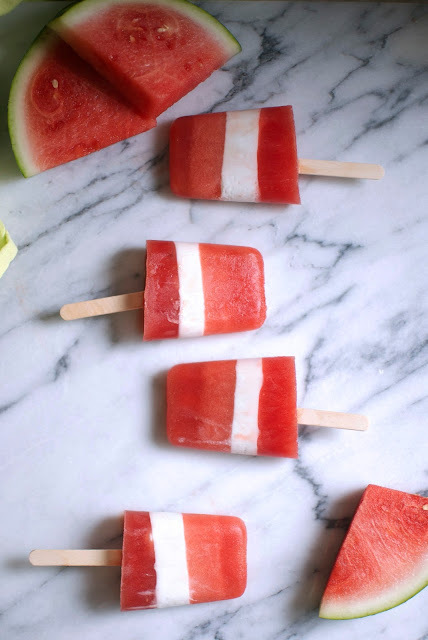 I'm bringing you some patriotic popsicles to celebrate! These easy watermelon and coconut milk popsicles make for a refreshing treat and are so pretty. 1. Chop 1/4 of a whole watermelon and put in a blender. Blend until smooth then skim off the foam. 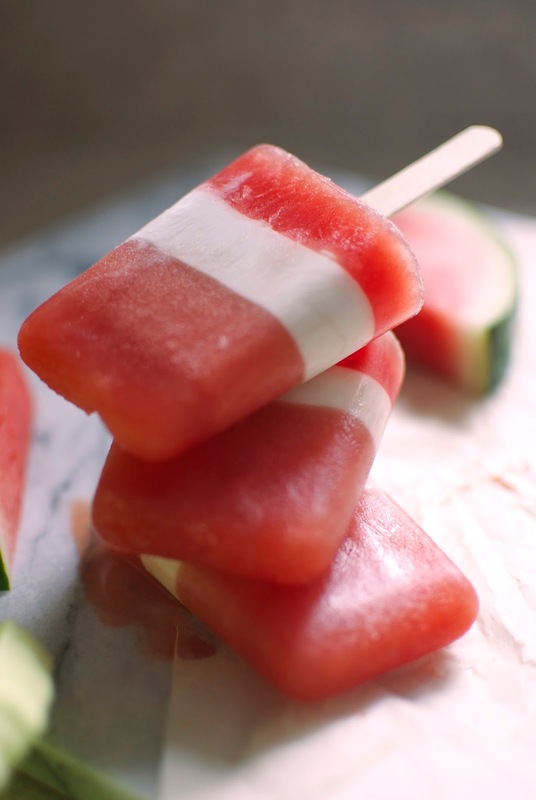 In your popsicle mould, pour the watermelon juice 1/3 into mould and put in the freezer for 45 minutes. Remove and add popsicle sticks then return to freezer until the layer has set completely. 2. Once the bottom layer has set, remove the popsicles from the freezer and add the coconut milk layer. The chilled coconut milk makes it thicker and easier to pour and ensures it's denser than the watermelon in case it isn't fully set when you add the layer. Fill another third of your mould with the milk and return to the freezer until fully set. 3. Once the coconut milk layer is set, remove and fill the remainder of the mould with your watermelon juice. Return to the freezer to fully set. Once the popsicles are completely frozen, remove and enjoy! I hope everyone enjoys their Canada Day! It's hard to believe it's already July!